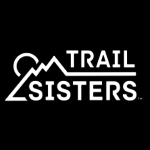 Starting this month, the American Trail Running Association (ATRA), and inov-8, will partner on a new series of articles about trail running tips for women. Record-breaking runner Jasmin Paris (pictured above, left), who is supported by trail running brand inov-8, will be featured in our Trail News section this month in the first of several installments. Paris had a breakthrough year in 2016. This 33-year-old runner and inov-8 ambassador from the UK set new women’s record times for the UK’s three premier 24-hour running challenges, the Bob Graham Round (England), the Ramsay Round (Scotland) and the Paddy Buckley (Wales). For the Ramsay Round (58-mile, 28,500ft ascent), she also beat the best men’s time, clocking an incredible 16hrs 13mins. 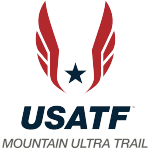 Not content with that, Jasmin also raced abroad in 2016, placing sixth woman in her first-ever 100-miler among a stellar field of ultra runners at the UTMB, bagging bronze at the Skyrunning World Championships and winning the Extreme Skyrunning World Series. Look for more trail running tips for women from inov-8 ambassadors in Trail News. Topics will range from motivation, to safety, to gear choices. If you have women-specific trail running questions, send them Peter Maksimow at petermaksimow@trailrunner.com. 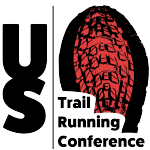 In the meantime, check out our popular 8 Trail Running Tips: How To Get Started article.